The original team of Nelson Handbell Ringers was founded in the mid-1920s by the late Miss Charlotte Mabel Nelson of Ockbrook, Derbyshire. The handbells were also known to have been used by Miss Nelson back in 1914 when she was teaching music there. The same bells have been maintained and refurbished over the years, and used by successive teams of handbell ringers for entertainment and pleasure. 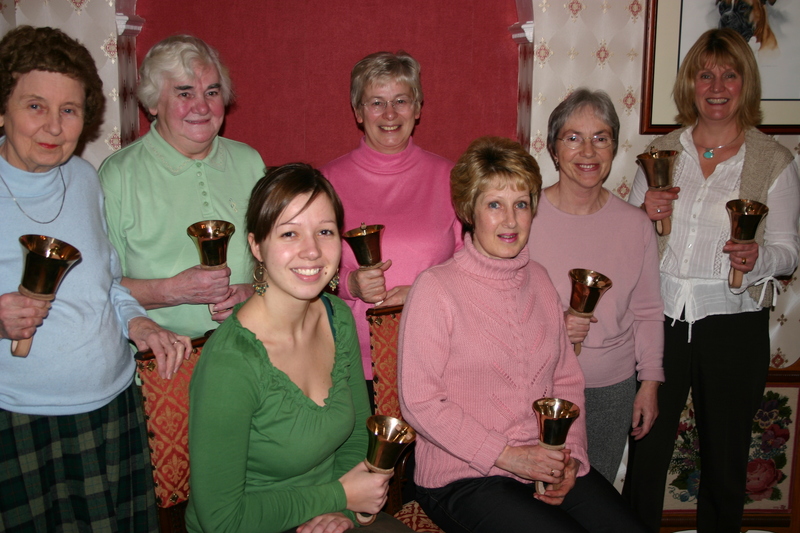 The present team have a set of modern Mayola bells, purchased with the aid of a Lottery Grant, but carry on in the same tradition, playing for meetings, community events and residential homes particularly in the Ockbrook and Borrowash area.